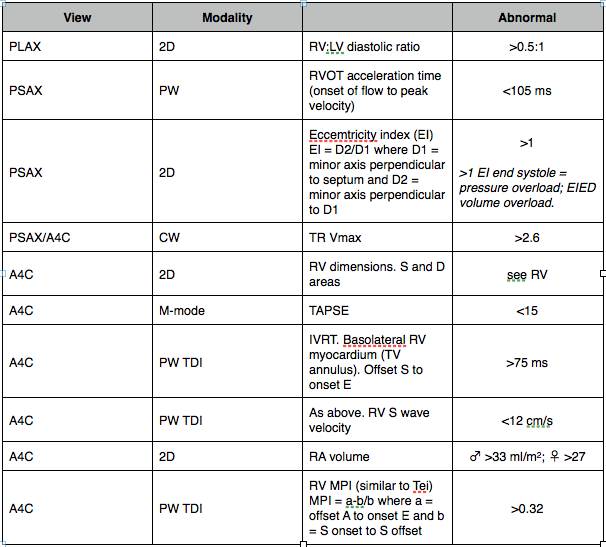 You won't need to know the full pulmonary hypertension guideline in the table but I add it for completeness. It just goes to show how 30mins (fairly standartd for a depatmental study) is not long enough for a full echo unless the scan is normal. Bernoulli equation transforms this into pressure gradient (gradient = 4 x V2). Machine will calculate this. This is the difference between RVSP and RAP.